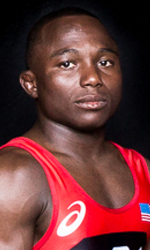 The following is a day-by-day preview of the 2015 United World Wrestling (UWW) World Championships, which will be held at the Orleans Arena in Las Vegas, Nev., Sept. 7-12. 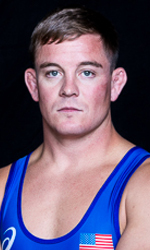 66K/145.5 pounds – Bryce Saddoris (U.S. Marines), Camp Lejeune, N.C.
Born: Feb. 22, 1988 (27), Spring Creek, Nev.
75k/165 pounds – Andy Bisek (Minnesota Storm), Colorado Springs, Colo.
Born: Aug. 18, 1986 (29), Chaska, Minn.
98k/216 pounds – Caylor Williams (U.S. Army WCAP), Colorado Springs, Colo.
59k/130 pounds – Spenser Mango (U.S. Army WCAP), Colorado Springs, Colo.
Born: July 6, 1986 (29), St. Louis, Mo. 3-2 in 2014 at 59k (fifth place), def. Fatih Ucuncu (Turkey), def. Peter Modos (Hungary), def. Kazuma Kuramoto (Japan), lost to Mingiyan Semenov (Russia), lost to Stig Andre Berg (Norway) in bronze medal match. 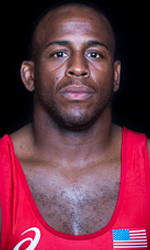 71k/156 pounds – Justin “Harry” Lester (U.S. Army WCAP), Colorado Springs, Colo.
1-1 in 2014 at 71k, def. 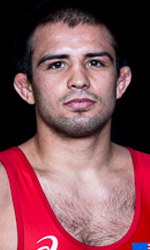 Mindia Tsulikidze (Georgia), lost to Rasul Chunayev (Azerbaijan). 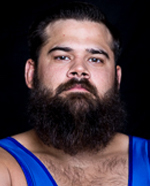 80k/176 pounds – Patrick Martinez (U.S. Army WCAP), Colorado Springs, Colo.
Born: April 5, 1990 (25), Temecula Valley, Calif.
130k/286 pounds – Robby Smith (NYAC), Colorado Springs, Colo.
Born: Jan. 30, 1987 (28), Danville, Calif.
85k/187 pounds – Jordan Holm (Minnesota Storm), Minneapolis, Minn.
48k/105.5 pounds — Alyssa Lampe (Sunkist Kids), Colorado Springs. 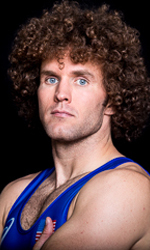 Born: March 10, 1988 (27), Tomahawk, Wisc. 3-2 in 2014 at 48k (fifth), def. Narangerel Erdenesukh (Mongolia), def. Hyun-Young Oh (Korea), lost to Eri Tosaka (Japan), def. Silvia Felice (Italy), lost to Hyon-Gyong Kim (North Korea) in bronze medal match. 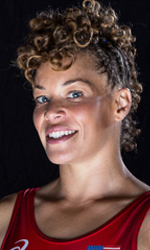 53k/116.5 pounds — Whitney Conder (U.S. Army WCAP), Colorado Springs, Colo.
Born: May 6, 1988 (27) Puyallup, Wash.
69k/157 pounds — Elena Pirozhkova (Titan Mercury), Colorado Springs, Colo.
Born: Oct. 13, 1986 (28), Moscow, Russia/Greenfield, Mass. 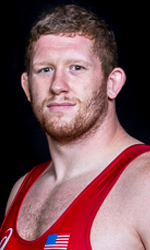 4-1 in 2014 at 63k (silver), def. Anastasija Grigojeva (Lativa), def. Battsetseg Soronzonbold (Mongolia), def. 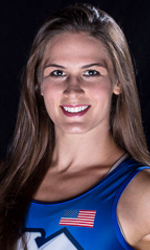 Danielle Lappage (Canada), def. Monika Ewa Michalik (Poland), lost to Yulia Tkach (Ukraine) in gold medal match. 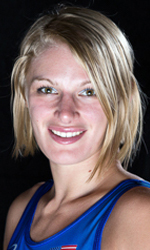 55k/121 pounds — Helen Maroulis (Sunkist Kids), Tempe, Ariz.
Born: Sept. 19, 1991 (23), Rockville, Md. 3-1 in 2014 at 55k (bronze), def. Elverina Zepeda (NCA), def. Battsetseg Altantsetseg (Mongolia), lost to Chiho Hamada (Japan), def. Katarzyna Krawczyk (Poland) in bronze medal match. 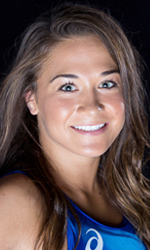 58k/128 pounds — Alli Ragan (NYAC), Colorado Springs, Colo.
Born: June 16, 1992 (23), Carbondale, Ill.
2-2 in 2014 at 58k (fifth), def. Aisuluu Tynybekova (Kyrgyzstan), lost to Kaori Icho (Japan), def. 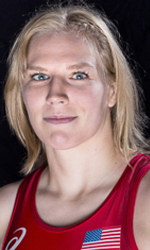 Asem Seydametova (Uzbekistan), lost to Anastassia Huchok (Belarus) in bronze medal match. 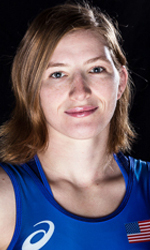 63k/138.75 pounds — Erin Clodgo (Sunkist Kids), Colorado Springs, Colo.
Born: Aug. 23, 1990 (25), Richmond, Vt.
75k/165 pounds — Adeline Gray (NYAC), Colorado Springs, Colo.
Born: Jan. 15, 1991 (24), Chatfield, Colo.
5-0 in 2014 at 75k (gold), def. Qian Zhou (China), def. Yasemin Adar (Turkey), def. Hiroe Suzuki (Japan), def. Epp Mae (Estonia), def. Aline Ferreira (Brazil) in gold medal match. 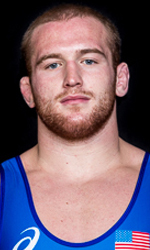 Born: July 14, 1986 (29), Davison, Mich.
60k/132 pounds — Leigh Jaynes-Provisor (US Army WCAP), Colorado Springs, Colo.
Born: Jan. 12, 1980 (35), Rancocas Valley, N.J.
Born: July 31, 1986 (29), Indianapolis, Ind. 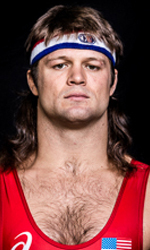 86k/189 pounds — Jake Herbert (NYAC), Ann Arbor, Mich.
Born: March 6, 1985 (30), North Allegheny, Pa.
Born: Nov. 20, 1995 (19), Woodbine, Md. 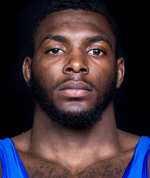 Born: Feb. 12, 1991 (24), Glenbard, Ill.
70k/154 pounds — James Green (Titan Mercury), Willingboro, N.J.
Born: Dec. 19, 1992 (22), Willingboro, N.J.
Worlds experience: 0-0, first tournament; Green, the three-time NCAA All-American from Nebraska, did compete in the 2013 and ’14 World University Championships and finished second in 2014. 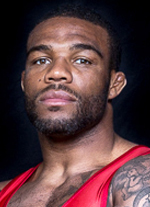 74k/163 pounds — Jordan Burroughs (Sunkist Kids), Lincoln, Neb. 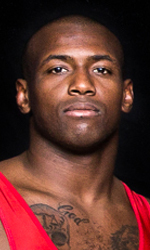 Born: July 8, 1988 (27), WinslowTownship, N.J.
4-1 in 2014 at 74k (bronze), def. 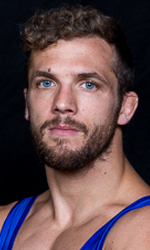 Augusto Midana (GBS), def. Yun-Seok Lee (Korea), def. 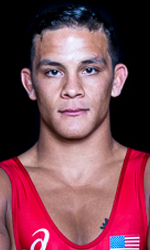 Rashid Kurbanov (Uzbekistan), lost to Denis Tsargush (Russia), def. Rustam Dudaev (Ukraine) in bronze medal match. 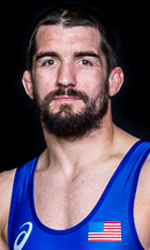 125k/275 pounds — Zach Rey, Bethlehem, Pa.
Worlds experience: first World Championships; Rey is replacing two-time World bronze medalist (2009 and 2014) Tervel Dlagnev, who first earned the spot on this team, but was forced to withdraw because of injury. 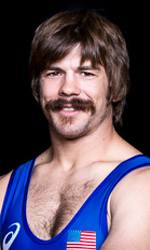 Rey, the former NCAA champion from Lehigh, won the last two Pan American championships. 2014 World medalists: Gold – Taha Akguel (Turkey); Silver – Komeil Ghasemi (Iran); Bronze – Khadshimourad Gatsalov (Russia) & Tervel Dlagnev (USA).